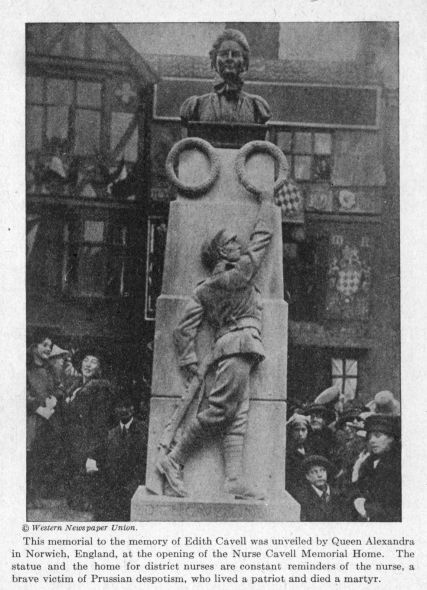 This memorial to the memory of Edith Cavell was unveiled by Queen Alexandra in Norwich, England, at the opening of the Nurse Cavell Memorial Home. This memorial to the memory of Edith Cavell was unveiled by Queen Alexandra in Norwich, England, at the opening of the Nurse Cavell Memorial Home. .